ESJ Installations, located in Gould Creek, South Australia, specialises in Roller Shutter sales, repairs and servicing. They can also convert your existing shutters from manual to electric or battery operated. Owned by Earl Pudler, ESJ Installations will supply you with the highest quality product and the best value roller shutters. Earl has many years of experience in the roller shutter industry and guarantees all his work and ensures you'll receive genuine low prices and no sales gimmicks. Roller shutters are perfect for security, insulation, climate control, protection against nature and significantly reducing energy costs. ESJ Installations services residential, commercial and shopfronts. There are a wide number of colours to choose from and ESJ are only too happy to offer their assistance in helping you with your selections. 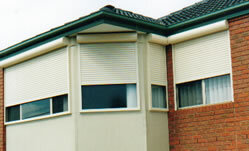 The Roller Shutters are stylish, unobtrusive and blend with all styles of homes. 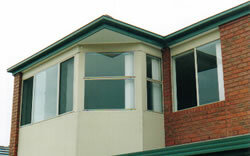 A great way to protect your home from the harsh Australian climate.